One of my most visited blogs in recent months was the provocatively titled How Do You Judge a Poem?, sparked by my judging the Torriano Poetry Competition 2015. The results are now in the public sphere and on the evening of Sunday 12th April, at the Torriano Meeting House in Camden, north London, many of the winners in the Competition gathered to share their poems. All proceeds go towards funding the future work of the Torriano Meeting House and this year as there were no plans for winning and highly placed poems to appear in print, I thought I might grace this blog with them. The authors whose poems are included below have kindly given permission for them to appear and I have also included my own brief comments – all this in continuing pursuit of the vexed question of what it is that makes a good poem. 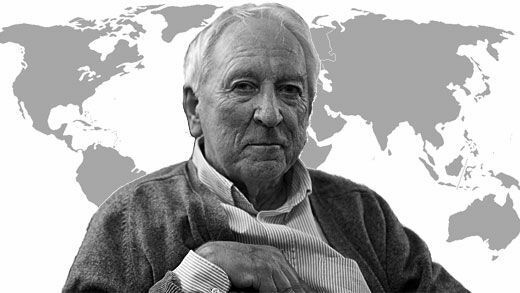 At the beginning of the awards evening I alluded to the sad news of the recent death of Swedish poet and Nobel prize-winner, Tomas Transtromer. In reading his work again in the last week or so, I was struck by this passage from his 1970 poem ‘The Open Window’ (in Robin Fulton’s translation). I thought it relevant to the evening as it starts in a familiar world, undergoes a mysterious transformation, all the while never losing sight of the need to keep our eyes open, our senses open. This for me is what poetry can do, must do perhaps, if we insist on setting poems into a competitive environment. I switched the shaver on. It buzzed louder and louder. It grew to an uproar. The urgency of (as if) seeing things for the last time is something we want from poems, the need to be spoken. We want the ability of a poem to open itself to the world around it, not to shutter it out with preconceptions, indeed with language itself. We want poems to contain ‘so many things’. Scanning the top 25 poems in this competition, their topics are love, relationships, war, the self, the body, ageing, politics (broadly defined), nature, language itself. So many things . . .
hyacinth blooms in my mother’s blue vase. then flip it, polish its surface until I can see my face in it. It’ll be shallow and, roughly the size of silence. Next up, a Stanley knife to incise my chest, peel back the skin. My blood will blossom like chrysanthemums as I slide my creation in. So much done in 10 lines! The poet as maker, as technician, rather than inspired Romantic genius – I have always loved poems that deal with the processes of things; how to, rather than look at me doing it. I like the modesty of the title, though that is promptly undermined by the importance of the word ‘survival’. The poem starts so well with its hammer and precise verb ‘forge’, though this is also immediately, clearly metaphorical, a gathering of raw materials, adding a little magic, till the object (as in all poems) is also a reflection of the self that made it. The brutality of the final lines has – by what has preceded them – come to be balanced between self-harm and self-repair. Blood as flowers is Sylvia Plath to some degree but this re-birth has more, is more, and is more convincingly, of the future tense than Plath’s ‘difficult borning[s]’ ever were. for the heart”, he says, “Of old woodland like this. stopping for a break in my patch of shade. with petals that blush like adolescence. but spilled her heap of absence on the ground. or what we saw inside, her ‘lit-up’ self. see a miracle in all lives, if you like”. 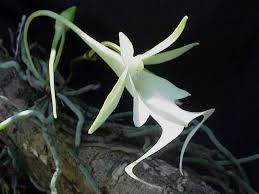 *The Ghost Orchid, Epipogium Aphyllum, is Britain’s rarest flower with findings reported in 1986 and 2010. It has been described, ‘In a torch beam . . . they appear translucent white . . . almost like a photographic negative’. Dialogue is difficult to use convincingly in a poem but this poet dives straight in without context or scene setting, though as we are baffled we are also intrigued. The “grey-haired plant hunter” is a near relation of Coleridge’s Ancient Mariner initially, though on this occasion he seems to need a little prompt or two to get going. Instead of a victim of experience though, he turns out to be a seeker – for the rare, the beautiful, the elusive, valuable precisely because so seldom of this world. The compassionate heart of the poem is only introduced (bravely) half way through with the more than strange coincidence of what the narrator is up to. The exchange they pursue is very moving, a quiet (can I say) English version of those often more hysterical scenes of mothers holding out photographs of the disappeared. The throw away ending is a stroke of genius, throwing this extraordinarily intimate moment back to the reader. picks up the scissors for the last time. First she thins the fringe, just a little. There’s not much hair. Alopecia – stress related. That’s what the nurse said. Here, have some pills. with the underside of her eyebrows. what would you sooner lose, a leg or an arm? Your hearing or your sight? tight, laughing, expecting the right answer, expecting a kiss. by the time she’s finished. The fringe isn’t straight. She levels it, brushes it out. go blonde, but get it done properly, he’ll pay. She’d sooner be a redhead. She sticks the point of the scissors into her scalp, watches the blob of blood. along a few hairs, glues them together. Darkens. She preferred the brighter red. She slips the scissors under the skin. Snip. Snip-snip. Raw and pink underneath. Snip. Snip. to get rid of the tufts, hacks and hacks. her eyes crying. She holds the scissors firmly with both hands. I agonised over this one because I doubted, at times, the intentionality of the effects. Yet even if the monstrously powerful impact was fortuitous – does that matter? The words do their work. I was agnostic because of the looseness, the long lines, the repetitions, the plainness, the directness. But aren’t these elements precisely what makes the poem so gut-wrenchingly unforgettable? Well – I stopped agonising and I went with the opening – so familiar as a moment of self-reflection, though not the condition briefly, dismissively alluded to. The relationship information is quick, convincing, just a facet of this person, not the whole story. How brave to be so repetitively onomatopoeic in the middle of the poem. Then it turns – sickeningly – on the word “redhead”, making it ambiguous, and so begins its horrible descent into drama. Perhaps into melodrama – but I teach teenagers and melodrama is a currency they trade in, knowing that it’s real. 5 Highly Commended Poems: Highly Commended of course means, that on another day, certainly perhaps with another judge, these poems might have been in the top three. A triumph of tone this one – from the intriguing, imperturbable, magisterial judgement of the opening, end-stopped line through to the stalling, breathlessly punctuated, fragmenting, grief-stricken ending. Between those lines the poem plays with the tension between its hard, objective tone, concerned with evidence, details, the empirical gathering of science and its efforts to articulate what it is that makes us what we are. you put the clothes through the hot wash.
she’d spent all day painting the landing and hall. 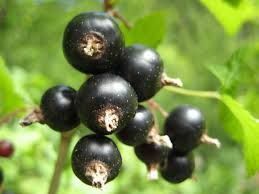 and I’d set my heart on blackcurrants. down and milked the fat black drops into the bowl. A poem that triumphantly recovers from its own title – because the poem itself avoids any reference to the situation about which the title has to inform the reader. What we are left with is a direct, if self-mystifying, narrative. This is a search, a little quest, haunted by the indelible, the irrevocable, by stains. It’s a trial narrative, a coming through, a survival, but the grail here is extraordinarily equivocal; listen to the verb applied in the final line to the gathering of this ominous crop. is slowly learning to speak. in its heels says ‘Listen! a gentle finger on my lips. events that no one dared to mention. bared, paper hung ripped from private walls? at first quaint to us, and now a foreign language. that forged, and warped, the world in which we grew. This struck me as the most ‘well made’ poem in the top rankings. Though not using end rhyme, the quatrains are carefully controlled, making good use of the de-stabilising of enjambement. There is a formality in tone too, from the title onwards. A distance perhaps but that enables the narrative voice to reflect, to judge and in the end to compassionate with the elder generation who suffered the horrors of war. The opening lines of this poem have an epigrammatic quality to them which the subsequent lines proceed to follow to their logical conclusion (though perhaps with a bit of black magic thrown in). This is like Blake in the mood of ‘The Marriage of Heaven and Hell’ and this poem gives us more modern Proverbs of Hell, reversing our preconceptions to both comic and politically serious effects. ← What Shape is your Poetry Workshop?